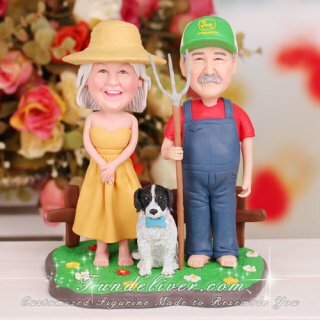 This is a completely customized redneck wedding cake topper ordered by one of our customers. It is created for her parent’s 50th wedding anniversary. The theme is Redneck Chic, she would like to incorporate them and their dog (a blue tick coonhound named Moonshine Blue) in this redneck wedding anniversary gift. 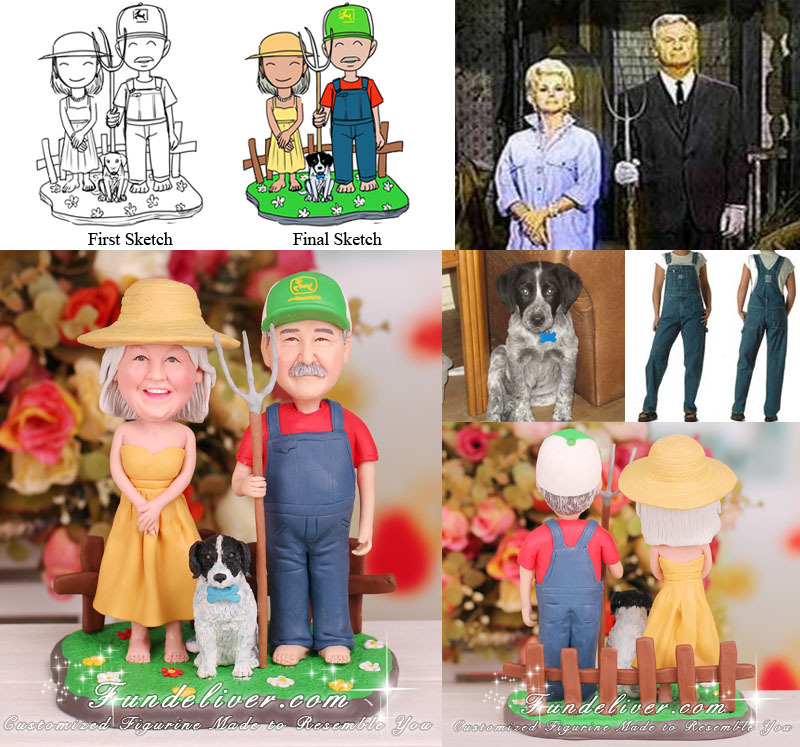 Her idea is to place the couple in the Green Acres pose with pitchfork. The bride is in straw hat, yellow sun dress, barefoot and wearing pearls for a necklace and gold hoop earrings. The groom is in denim overalls, red t-shirt short sleeve, John Deere Ball Cap, barefoot. Their dog is added in between them in sitting pose. For the base she would like a green grass base with farm like background.